There is a lot to be said for a quiet stroll in the garden! 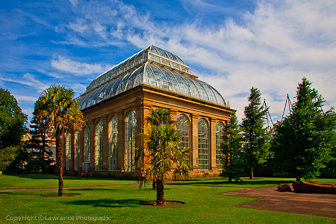 Edinburgh has one of the largest gardens in the world and is one of four remarkable gardens of the Royal Botanic Garden Edinburgh. Together they represent one of the world’s largest living collections of plants. The Royal Botanic Garden Edinburgh was established in 1670 and during the twentieth century acquired three Regional Gardens - the mountainous Benmore in Argyll; Dawyck in the wooded hills of the Scottish Borders and Logan on the Gulf Stream-warmed southern peninsula of Dumfries & Galloway. There are other Edinburgh albums – including the Edinburgh Zoo, the Butterfly Farm and the City of Edinburgh, which are all well worth viewing.